-I was bored with the same old exercise routine and treadmill. -Probably adding more weight to split jerk and learned how to drop the bar finally. When your not at the gym, what do you do for work? What do you do for fun? -I am the Executive Assistant for a local labor union in New Haven. I actually bowl on a league during the fall/winter season. How is your nutrition? 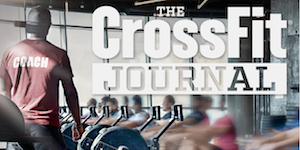 How has it changed since joining CrossFit True? -My nutrition has improved but could be better. I eat healthy during the week but I definitely indulge too much still on the weekends. -It’s strange but I kind of tune out the music once I start counting reps.
Have you changed physically or mentally since you’ve been working out with us? -Yes, I feel stronger and am in much better shape than before. -I would like to lose some weight, work on my flexibility, and upper body strength. How have your goals changed since you joined? What has been the biggest surprise since joining CF True? What can you do now that you couldn’t do before joining?